At the beginning of 2009 a vacant block of land, adjacent to St Luke’s Church at Mosman Park, WA, provided the parishioners with the opportunity to undertake an exciting community project. The land had historically been used as a parish tennis court, but had laid idle for nearly 40 years. After some internal consultation, parishioners identified an organic community garden as their preferred option for development of the land. In less than ten months, this dream had been realised and St Luke’s Community Garden was officially opened on 31st October 2009. The original idea of a garden proceeded rapidly through a feasibility and costing study undertaken by a small working committee. Glenn Sproule, the former curator of UWA Grounds, agreed to help us (gratis) and drew up a detailed plan for the garden structure and content. St Luke’s Church Council was very supportive and funding of up to $40,000 was made available. Whilst approvals from the Perth Diocese and Mosman Park Town Council were pending, the gardeners got on with the first stage of landscaping by planting 300 native tube stock around the permimeter and thereby took full advantage of the autumn and winter rains. 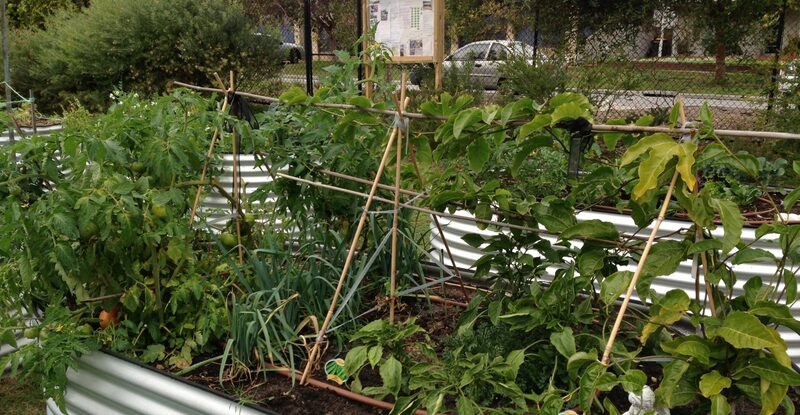 Once approval was granted, we installed 27 zinc-aluminium raised garden beds (80cm high), a shed, a 22,500 litre rainwater tank and a reticulation system. Five citrus trees were planted to establish a small orchard and a communal herb garden was prepared. A site has also been set aside for planting a bush tucker garden in autumn 2010. And there are plans to build a shelter to encourage the members to sit down together and enjoy their garden space. Mosman Park has a very diverse community; available green space is at a premium as there is a combination of high density housing at one end of the spectrum and houses with very large footprints on ever-decreasing block sizes at the other. It was thought that a community garden would bring together disparate members of the local community and also improve the interaction of St Luke’s with the local community. The garden was designed to be beautiful as well as functional so that in years to come it would be a quiet sanctuary for people to enjoy nature in addition to providing a community space for a variety of uses including meetings, picnics and outdoor church services.